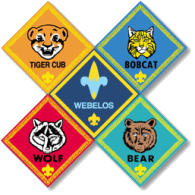 We have a den meeting on Tuesday, June 3 and will work with the boys to finish the Citizenship, Fitness and Scholar pins and non-pin requirements of the Webelos badge. When: Tuesday, June 3, 7:00p - 8:30p; Last opportunity to complete Webelos badge before Crossover. Who: Den 11 Boys who have not earned Webelos Badge; all other den 11 boys are welcome to join if they wish.